What Type of Kindness Will Make You Happiest? A new study investigates four types of kindness practices to see which one has the greatest benefit. By now, you may have heard the news that helping others is good for your well-being, too. For example, studies suggest that people who spend money on others become happier and actually reduce their blood pressure. Other research has found that people who volunteer improve their mental health over time. But if we decide to practice more kindness, are all types of kind acts equally rewarding? Would helping out a family member boost our happiness more or less than volunteering among strangers? A new study published in The Journal of Social Psychology sought to test out this question by investigating how different types of kind acts affect our happiness. Ultimately, the researchers found that a wide range of kind activities are good for us—and we don’t have to be Mother Teresa to tap into the benefits. Researchers asked 683 adults from over two dozen countries—from the United States and Brazil to the United Kingdom and South Africa—to complete at least one act of kindness daily for a week, such as helping a neighbor, writing a thank you card, or paying for someone’s movie ticket. People were encouraged to carry out more kind acts—or different types of kind acts—than they normally would. One group was asked to direct their kindness towards people they were close to (i.e., friends and family), while another group was kind towards people they were less close to (i.e., acquaintances and people they didn’t know as well). Other participants were asked to make an effort to practice self-kindness—for example, by meditating, going on a walk, or dancing to a favorite song. 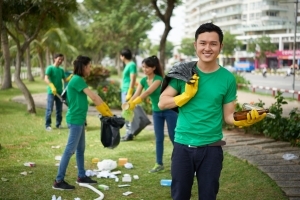 A fourth group didn’t engage in kind acts themselves, but they tried to observe acts of goodness carried out by other people—for example, when someone volunteered, bought coffee for someone else, or simply stopped to pick up litter. The researchers compared all these groups to a control group of people who went about their lives as usual. According to a survey question administered before and after the experiment, participants who performed any of these kindness activities became happier compared to the control group. Somewhat surprisingly, the four types of kindness tasks didn’t have different effects on happiness. 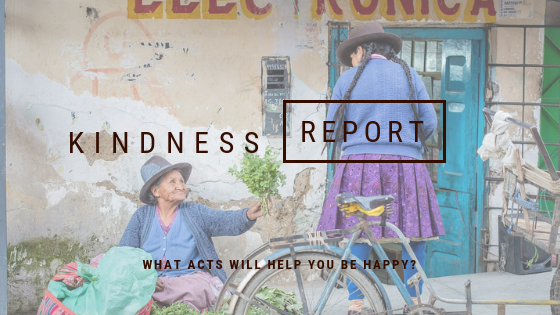 The researchers had initially predicted that participants who were kind to others would become happier than participants who practiced self-kindness or merely observed kind acts. They had also predicted (as some prior research suggests) that being kind toward close friends and family would be more beneficial than being kind to strangers. But this wasn’t the case; kindness in any form made people feel equally good. Why? Because this study was a real-time kindness experiment, the results may be more reliable than past research in which people simply recalled memories of being kind. According to Lee Rowland—lead author of the paper, director of research at Kindness.org (which supported the research), and research associate at the University of Oxford—being kind to others, whether or not we are close to them, may be inherently rewarding for us and activate an evolved neuro-biological system involved in caring for others. He also suggests that observing kindness is a way of noticing the good around us—rather than seeing a world full of stress and bad news—which could boost our mood. According to Rowland, this research is a reminder to “think more about other people and not so much on yourself”—both for their benefit and for your own.